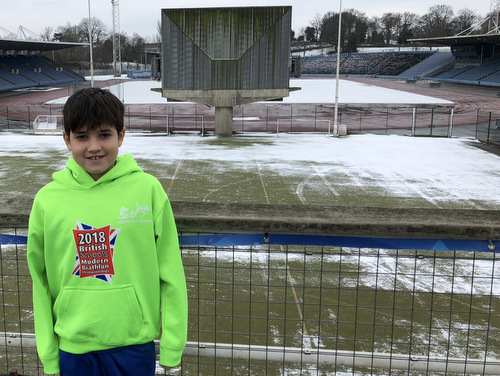 We could not be more proud of Rohan who recently travelled to London's legendary Crystal Palace to take part in the British Schools' Modern Biathlon Championship. 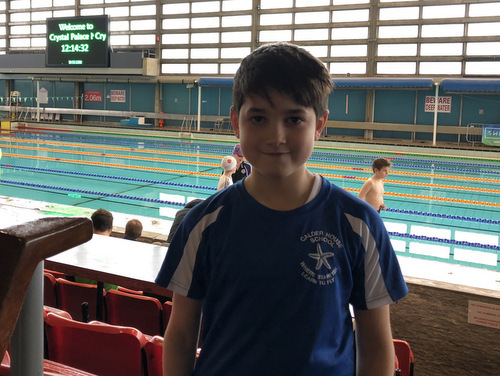 This challenging competition to find the fittest super-sporty kids in the country involves a punishing 50m swim followed by an equally challenging 800m run. And remember: this is Ro's idea of fun! 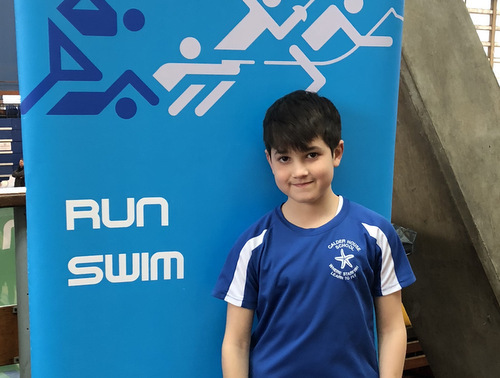 What is more, everyone at Calder House was CHUFFED TO BITS when we saw that Ro had chosen to compete wearing his school sports top with its starfish logo. Calder House is proud to be his official sponsor! "I was a bit disappointed with my swimming time." Ro told us after the race. "I need to practice in the pool a bit more but it was a good experience and I'm glad I did it." Great job, Ro - you did us proud!